While most people don't get into breakdancing because they want to make a career of it, there are nevertheless jobs for breakdancers. The most common job for a breakdancers is either doing shows or working on the sets of music videos. While some of these projects don't pay any money, some larger projects will pay a breakdancer usually around $200 to showcase their skills for others to see. 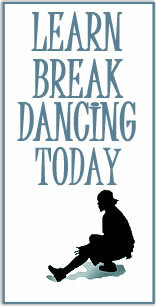 However, these opportunities are usually better for simply getting exposure as a breakdancer. Usually music videos pay about the same amount of money. Keep your ears open for casting auditions and ask other breakdancers if they know of any gigs that are currently paying. Once you are ready to enroll you can click on the link below.